I choose to do an article about the baths of Budapest. Indeed, they are really important for the city and its inhabitants. 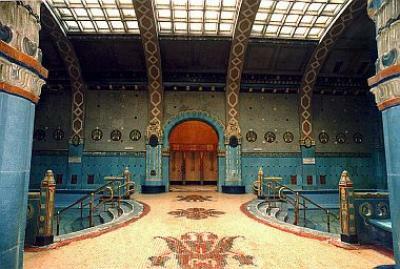 Budapest is very famous for these baths. 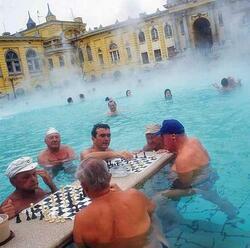 Several centuries ago, inhabitants of Budapest discovered the benefactions of the thermal baths. The basements of Budapest abound in sources of beneficial hot water. They really developed further to Ottoman occupation. Turks bequeathed their rich thermal culture to the inhabitants of Budapest. 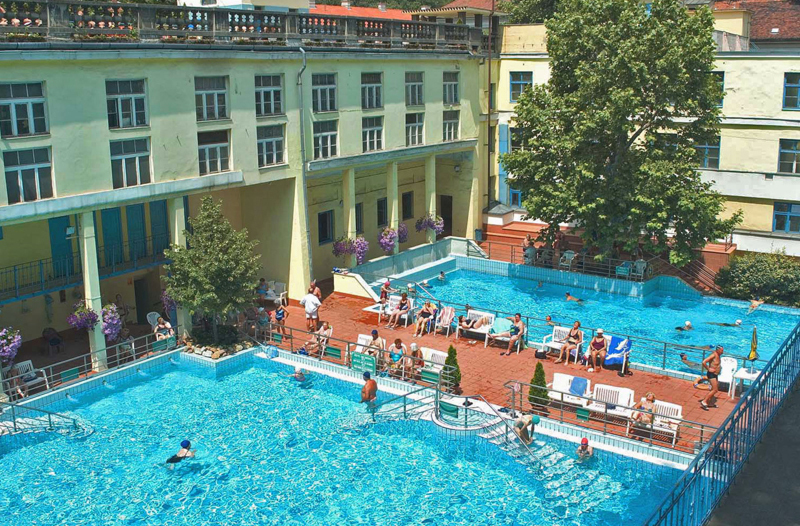 The thermal water has of numerous benefactions for the health, a lot of people suffering from respiratory disorders or from muscle pains go to baths. The thermal baths also have an important social aspect, old people who spend their day to play chess in the water are the proof (and it’s really true, I saw them ). For the greater part, the thermal establishments of Budapest, former as recent, contain a whole series of covered, warm and hot thermal ponds, with hammams, saunas, ice-cold baths and massage rooms. Some establishments also extend outside by swimming pools and installations of jets and spa baths. In certain baths, there are days and hours reserved for the women or for the men, but also the mixed time in most of the thermal establishments. Some of them are mixed permanently. 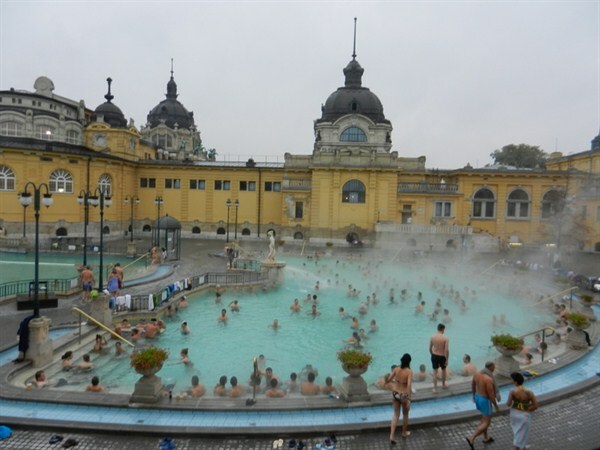 First of all, there are Széchenyi baths. They were built between 1900 and 1913 in a style neo-revival. It is the biggest thermal complex of Budapest. I love this one because the bath who is outside is really hot (38°C) and when we went to there during winter, it was so nice ! Then, there are Gellert baths. Situated in one of the most beautiful hotels of Budapest at the foot of the Mount Gellert and a few steps away from the Danube, they opened their doors in 1928. The architecture is magnificient. I like a lot this one also because outside there is a swimming pool with waves, it's really funny and it's at 26°C, so we can swim during summer ! There are Rudas baths. 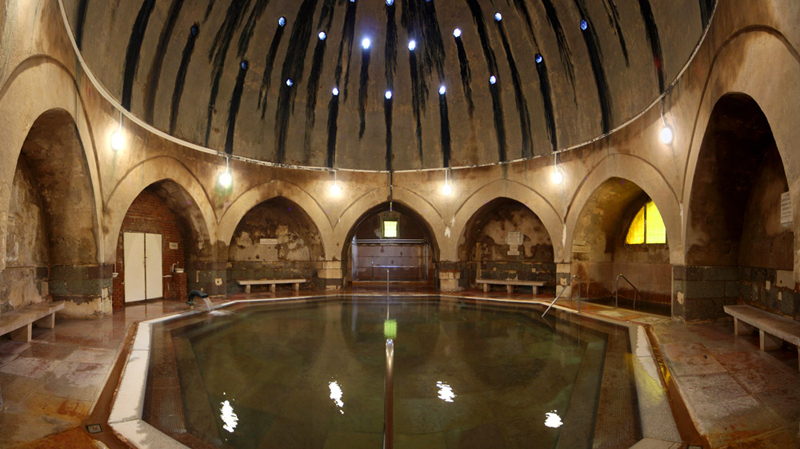 The central dome of these baths was built more than 500 years ago by Turks. They are really beautiful. There are also Lukács baths. They are more centred on the care than on the leisure. Finally, there are Király baths. 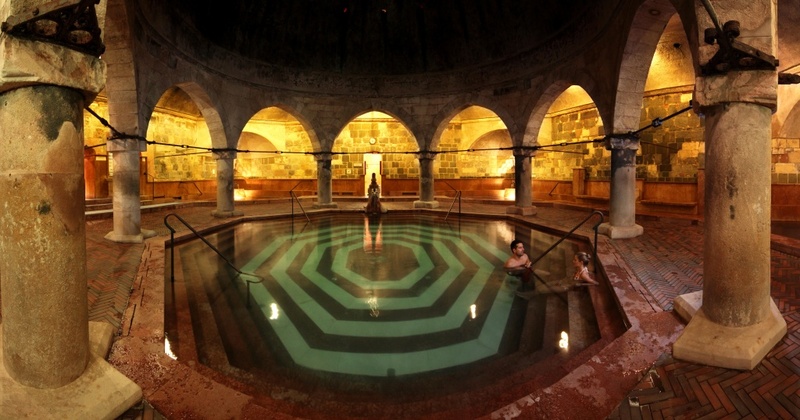 Like bath Rudas, bath Király were built by Turks. Contrary to the other baths, this one has no appropriate source, its water comes from baths Lukács. When we come to Budapest, go to baths is inevitable. This is a really strong tradition and a very good experience. I loved going to baths with my friends and also my family when they came. Everybody liked it.